Thomas Gaudisson is awarded the 2016 Lab of Excellence SEAM Thesis Prize for his thesis entitled “Granular magnetically contrasted hetero-nanostructures : From oxide nanoparticles to permanent magnets”. Gaudisson received on October 17 2016 the The Labex SEAM (Science and Engineering for Advanced Materials and devices) prize, which is granted to a maximum of two PhD candidates. As one of the criteria, the candidates must show a quite exceptional contribution in scientific knowledge progress, or in technological innovation with their research work. The scientific award consists of 1500 euros as a contribution for a mission, congress or a stay in a foreign laboratory. 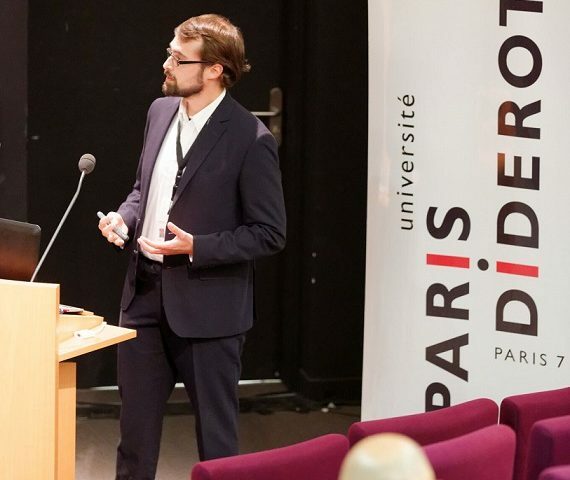 Thomas Gaudisson worked in the group of Prof. Souad Ammar at the Paris Diderot University (France) and Prof. Frederic Mazaleyrat at Normal Superior School of Cachan (France) as a PhD candidate from November 2011 to February 2015. He has developed new rare earth free magnets. First, by the synthesis in organic solvent of magnetically contrasted nanoparticles with controlled shapes and compositions, and using Spark Plasma Sintering he successfully formed nanostructured ceramics. At low temperature, he obtained magnetics performance comparable to rare earth magnets. These results are promising for future research.